Diane M. Dewar, Ph.D. is an Associate Professor in the Department of Health Policy, Management and Behavior, School of Public Health, and the Department of Economics at the University at Albany, State University of New York. She is also the Director of the Institute for Health System Evaluation at the University at Albany. 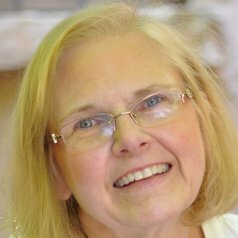 She has over 20 years of teaching experience that includes graduate courses in health economics, health policy and economic evaluation methods; as well as undergraduate courses in microeconomics, macroeconomics, econometrics, health economics, comparative health policy, introductory sociology and introductory psychology. Professor Dewar received her Ph.D. in Economics from the University at Albany, with concentrations in health economics and econometrics. She is a recipient of the William Waters Research Award from the Association of Social Economists, honorable mention for the Aetna Susan B. Anthony Award for Research on Older Women from the Gerontological Section of the American Public Health Association, and is the past president of the Public Health Honor Society, Delta Omega, Alpha Gamma Chapter. She has been a Principal Investigator or co-Investigator on grants from the Agency for Healthcare Research and Quality, the Robert Wood Johnson Foundation, Kaiser Family Foundation, and the Centers for Disease Control and Prevention. She was the Chair of the National Fellowship Panel of the American Association of University Women, has served on Agency for Healthcare Research and Quality grant review study groups, and serves on the Health Economics Committee of the Medical Care Section of the American Public Health Association.